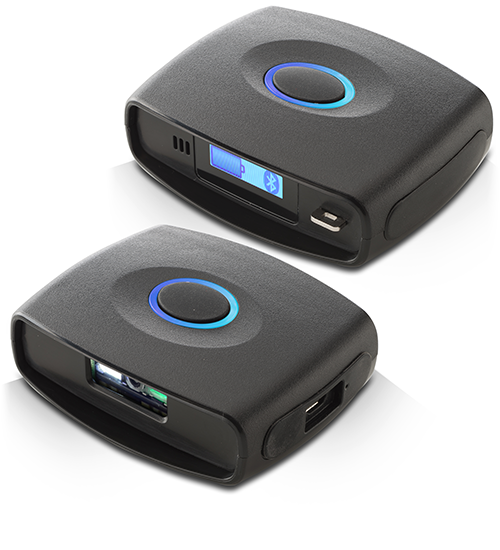 MULTI SCAN AVIO is an ultra compact and innovative wearable BCR scanner (Wi-Fi or Bluetooth) able to directly read on smartphones and RFID. MULTI SCAN AVIO can perform 4 types of scanning: 1D barcodes and 2D QR-Code; RFID HF and NFC reader/ writer and embeds a camera that allows to take pictures. MULTI SCAN AVIO operates in stand alone mode using the pedestal docking station for the wireless recharge only. The data are transferred directly from Multi Scan to the workstation over the BlueTooth or over the Wi-Fi. At the airports, MULTI SCAN AVIO reads the boarding passes allowing also to intercept passengers looking for their transfer flights. MULTI SCAN AVIO reads bag tags, also with RFID, easening the "baggage reconciliation".